Coco-Nutty: Are Coconuts Good for You? If we are told to limit our intake of saturated fat, but increase our intake of coconut (which contains saturated fat), how does this make any sense? Is coconut good for us or not? Coconut is in fact a nutritious superfood that is rich in fiber, vitamins and minerals. It's incredibly healthy, nourishing and versatile. If we are told to limit our intake of saturated fat, but increase our intake of coconut (which contains saturated fat), how does this make any sense? Is coconut good for us or not? Coconut is in fact a nutritious superfood that is rich in fiber, vitamins and minerals. It's incredibly healthy, nourishing and versatile. Coconut is rich in antioxidants, which help to slow down the aging process and protect the body from free-radical damage. They help to nourish the skin and prevent/treat skin conditions, as well as help to boost metabolism. According to Udo Erasmus, author of Fats that Heal Fats that Kill, coconut actually breaks down in our bodies much differently than typical saturated fat from animal meat or dairy. 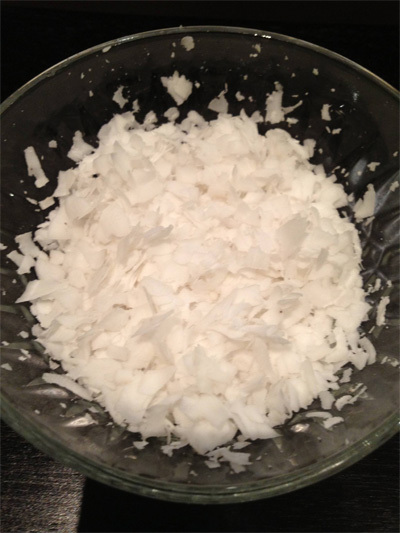 What makes the saturated fat in coconut different is the length of the fatty acid chain it contains. - Long-chain fatty acids are the bad types of saturated fat. When we consume long-chain fatty acids, our bodies store this as fat -- contributing to weight gain, heart disease and high cholesterol. - Coconuts do not contain this type of fat, but rather contain medium-chain fatty acids. According to Udo, our bodies do not store medium-chain fatty acid as fat, but rather use it for energy. Instead of promoting weight gain, it actually promotes weight loss and helps to lower cholesterol levels. Coconut provides the body with energy and helps to relieve symptoms of chronic fatigue. 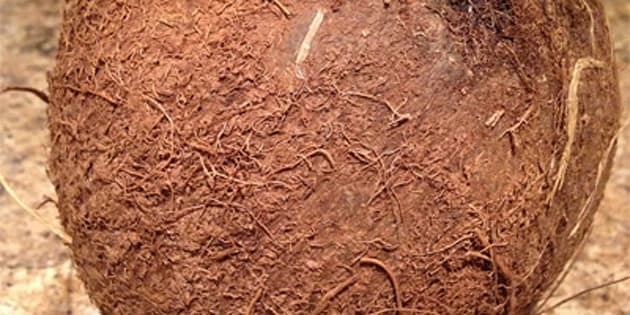 It is antibacterial and antifungal, and helps to promote a healthy immune system, says Erasmus. Coconut oil is an amazingly beneficial oil to use on a daily basis. It is incredibly heat stable, which means that it can be used in cooking at high heat without denaturing. It can be used as a substitute for butter in recipes, added to smoothies, baked into dessert recipes, used for stir-frying or cooking, and even applied to the skin as a moisturizer. Recommended brands: Choose an expeller-pressed, organic, virgin coconut oil (Nutiva or Omega Nutrition are great). Coconut can be purchased fresh, whole (which must be cracked open before eating - see images below) or dried (choose one that is unsweetened). It can be added to smoothies, trail mixes, on top of oatmeal, in dessert recipes, or in cooking. If you want to get a bit messy in the kitchen, try purchasing a fresh, whole coconut and cracking it open yourself! The fresh coconut water and coconut meat are so delicious, and it's always a good time when you get to use screwdrivers and hammers (or cleavers) in the kitchen! 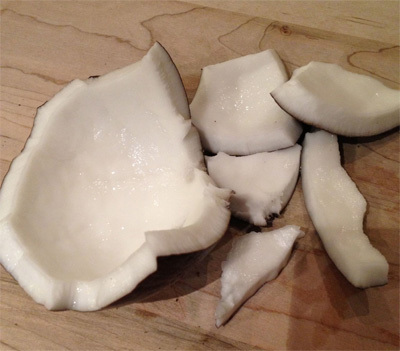 #1 - Start with a fresh, whole coconut. Choose one that is heavy for its size and sounds like it's filled with water when you shake it. 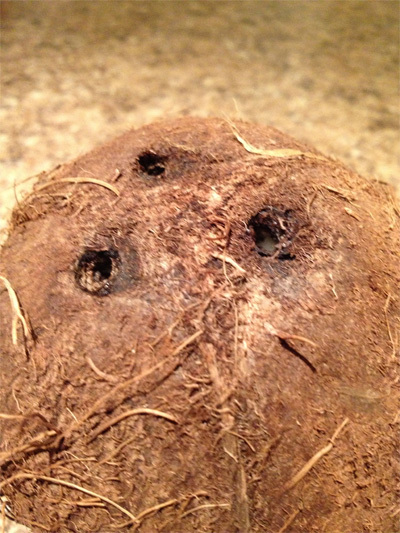 #2 - Using a screwdriver or a corkscrew, pierce the 3 "eyes" of the coconut. This will allow you to pour out the water before cracking it open. 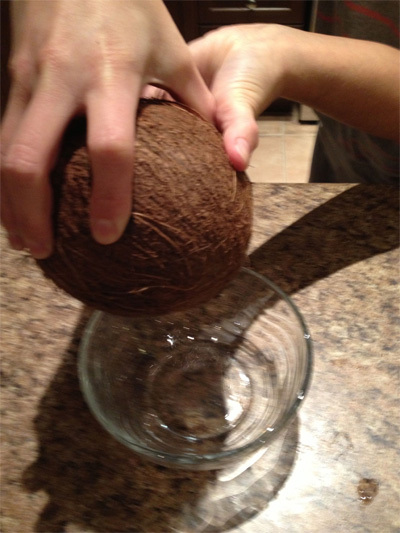 #3 - Pour the coconut water into a bowl. Strain the water as there may be some particles floating around. Drink the water or place in the fridge for another time. 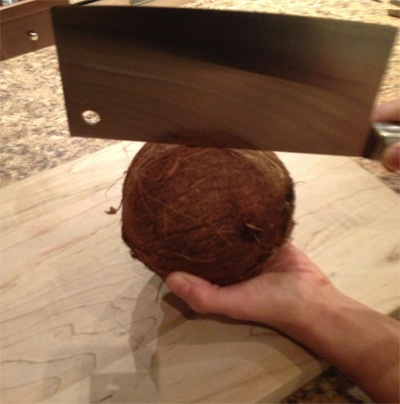 #4 - Using the back of a cleaver (or a hammer) knock the coconut a few times until it begins to crack. Be very carful!!! 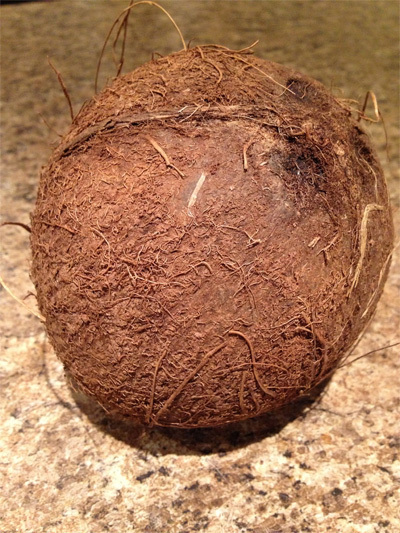 It is a good idea to wrap the coconut as pieces tend to go flying as it begins to crack. #5 - It cracked!!! 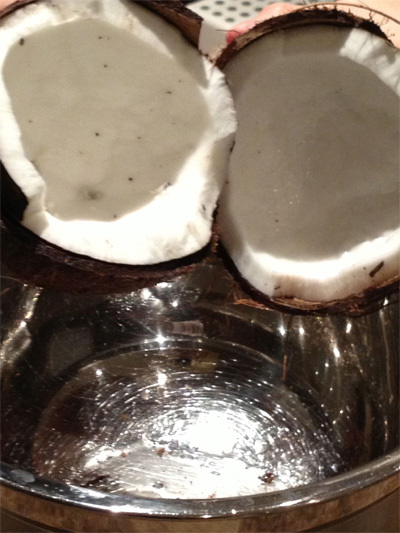 Open up the coconut over a bowl to catch all excess water and particles from the shell. #6 - Break it apart into pieces. You can eat the white coconut meat just like that, or cut the white meat out to be used in smoothies, desserts, cereals, etc...discard the outer brown shell. 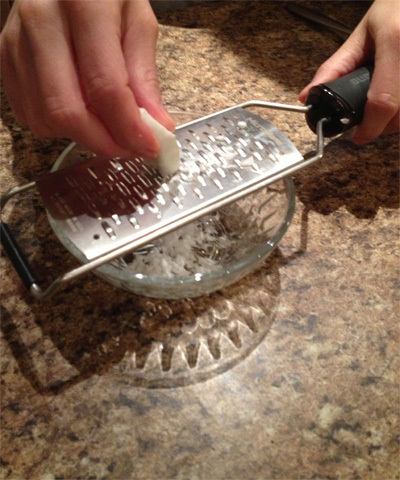 #7 - Leave your coconut in pieces, or shred it using a grater or microplane. Shred it as thick or thin as you like. #8 - Delicious coconut is ready to be eaten! Store fresh coconut in the fridge for up to 4 days. To learn more about some amazingly beneficial superfoods, check out Shannon's ebook "Scrumptious Superfood Smoothies"